JRPG Jungle: Persona 5 DLC Analysis and Schedule - Costumes Anyone?! Persona 5 DLC Analysis and Schedule - Costumes Anyone?! Persona 5 has many hours of gameplay in it, so you might as well look cool while doing it...or at least that's what Persona 5’s DLC would like you to think. Persona 5’s DLC schedule has been outlined for the next few months and can be divided into a few categories: aesthetic, gameplay and Persona. Notably Persona 5 doesn't seem to be going down the story DLC route, which is probably for the best as it would likely be met with fan rage, especially since the story of Persona is the main reason why people play it. But without story DLC, there are plenty of opportunities for cool costumes and extra Personas, so here's a look at Persona 5’s upcoming DLC, along with my opinions on whether or not it's good value for what they're offering. Special thanks to @komeDefur on Twitter for suggesting I write my thoughts on this! He's an awesome guy who's also talented at design and working behind the scenes on games. Check him out on Twitter, Youtube and his website! 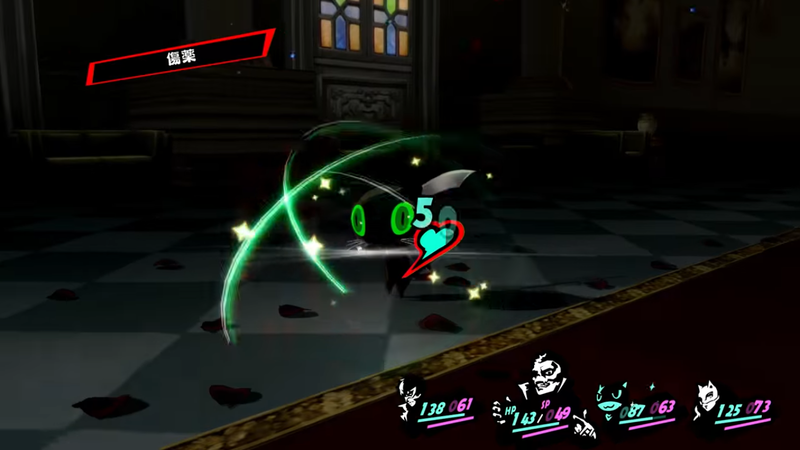 Persona fans can expect to be able to customise the Phantom Thieves a fair bit in Persona 5, whether you have money to spend or you want some free costumes. There are well over 10 Costume sets coming between April and November this year, including the usual fan service sets such as Christmas costumes and Maid outfits, along with outfits based off other Atlus games, such as the Persona 4 or Catherine Sets. I have to commend Atlus for keeping the Persona 5 related sets totally free, even free from costing in-game currency which was the norm in Persona 3 and 4. Even though they're not installed on the disc/game download when you buy Persona 5, their total lack of cost is really nice. The paid sets are pretty good value too, considering what you get with them. For $6.99, most sets have a full set of costumes (at least the ones I could find details on), a battle theme and jingle (the jingle being what I imagine to be the end of battle track) and a special accessory. I thought Final Fantasy XV’s costume prices of $0.75 (Australian) were good for a costume for one party member, so $6.99 for a full 7 people party is great in my books. Also worth noting is the fact that Atlus makes full use of their mascot character Morgana, with Morgana having by far the best DLC costumes. I'm dying to put Morgana in Teddy’s Persona 4 Golden costume or Persona 4 Dancing All Night’s rainbow haired disco one. Even some Shin Megami Tensei sets from games that I haven’t played have some great Morgana costumes such as Acid Green-eyed, Glowing Morgana in the Devil Summoner Raidou Kuzunoha set. Even if you don't know all the sets origins and don't plan on buying them, the Morgana costumes are worth a look if you're a fan of the Mascot character. There are a lot of extra Personas available to put into battle if you have a favourite Persona from main characters of other Persona games. The part of these Personas that is most likely to appeal to me is that each one carries a skill unique to that Persona. In saying that, I don't know if there's a skill strong enough or game changing enough to warrant buying one of these for me, even for their reasonable price of $2.99. A Persona’s success is generally based on weaknesses, so how one skill could be unique enough to change the game is hard to imagine. Still, certain Personas such as Matsuga-Izanagi are tempting and I like the touch of the inclusion of Picaro designs, but if I was to put my money towards these or the costumes, I think there is more value to be found in the costumes. I don't know if there will be more gameplay DLC, but the ones listed here were available at launch and all available for free, another thing I commend Atlus for. 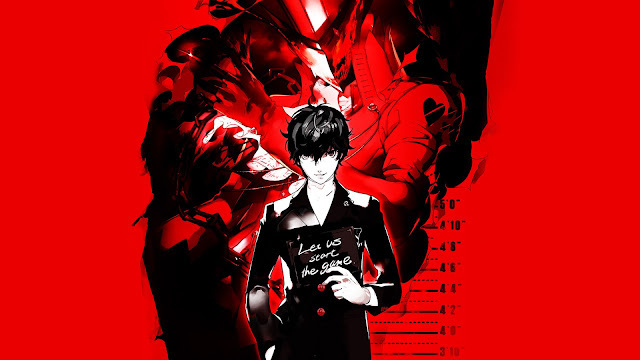 The Japanese Audio version of Persona 5 is available for those who are curious or purists and has the great performances I heard in my partial playthrough of the Japanese version of Persona 5. While I'm into fully dubbed JRPGs recently, I have no doubt some people will really appreciate not having to pay for the Japanese audio alternative and I'm glad to see they've listened to fan feedback about this. An addition I'm also happy about is the Merciless Difficulty, which will probably destroy me. 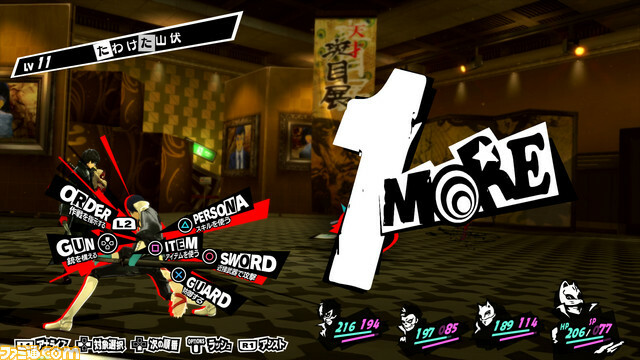 This is a mode that I would've like to be in Persona 5 on the file, but I can appreciate how not including it saves data space since not everyone will use this. Space aside, from trying out safety mode and finding it really easy, I like the idea of the super difficult Merciless mode and I'll be trying it if I end up doing a second or third playthrough. A bunch of Avatars and Themes are available for Persona 5. 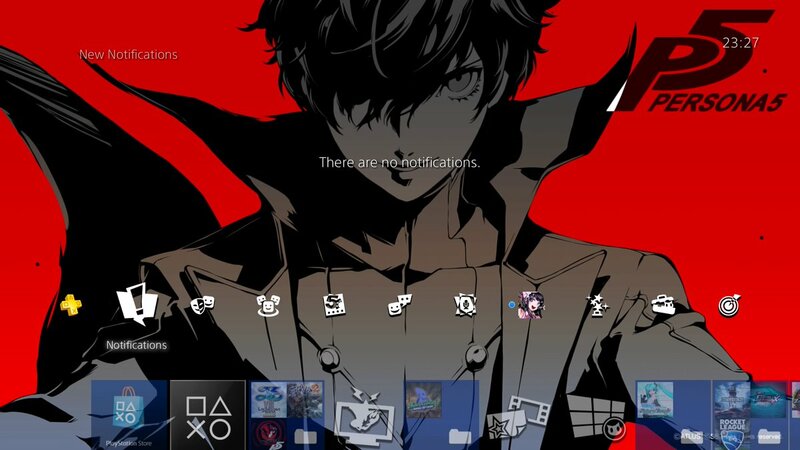 I got a free Persona 5 theme with my pre-order so I don't have much interest in these, but I know some people may, so this is the available list of Persona 5 characters to customise your home screen with. While I probably won't buy any of these, I do like how they've spaced these out. It's coming up (at the time of writing) to April 11 now and I've just met Yusuke, so I think they put some thought into what characters to release when. 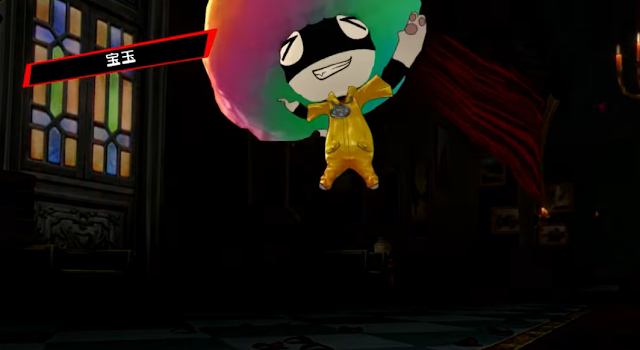 With over 30 DLC items in total, while Persona 5’s DLC items are mostly aesthetic, I like the variety of fans they've tried to make them appeal to. People with not much extra cash like myself can enjoy free items at a slower rate, Persona or Shin Megami Tensei fans can deck out the characters with nostalgic costumes and everyone can enjoy the choice of dub they want to hear. For myself, I downloaded all the free DLC as soon as it came out and will probably continue this as more free DLC rolls out, all while tempted to pick up the Persona 4 packs because nostalgia really is appealing. 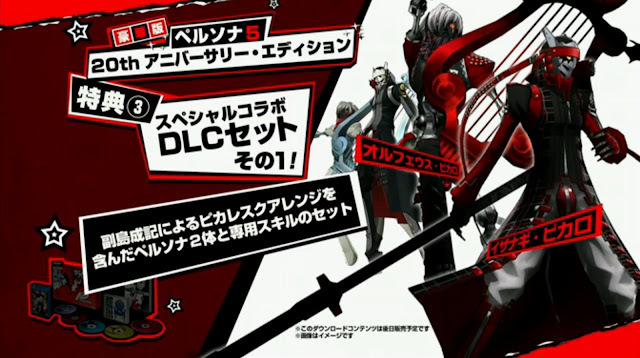 I do kinda wish they made a few DLC bundles based on each Persona game, such as combining the Izanagi set and the Persona 4 Costume BGM set into a Persona 4 full set with all the Persona 4 DLC maybe for a small discount or even for full price just, just for simplicity's sake and to encourage a quick sale for those who don't want to scroll through a bunch of stuff to get it piece by piece, but it's really not a big deal. 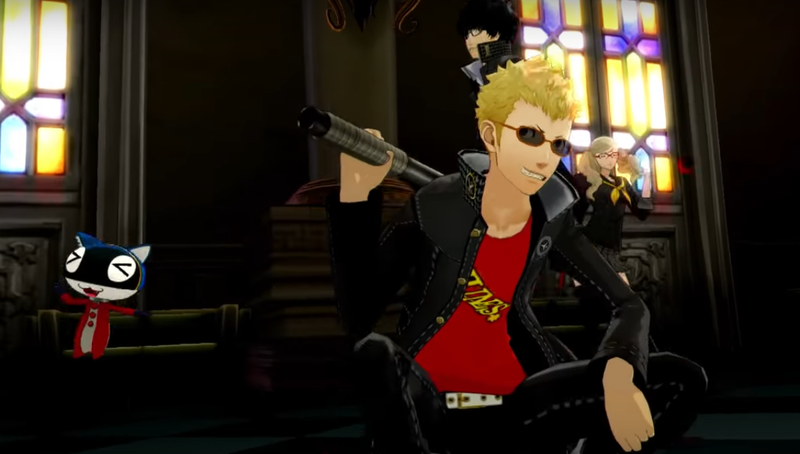 All in all, this Persona 5 DLC has a little something for every kind of fan and the mix of good value sets and free items gives everyone a way to customise in a long JRPG experience. You can pick up Persona 5's DLC from the Playstation Network! Will you be buying Persona 5’s DLC? If you could put Morgana in any costume, what would it be?